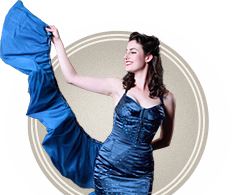 As part of the 2019 FRINGE WORLD Festival, Sugar Blue Burlesque are joined by special guests for a sparkling shakedown like no other! 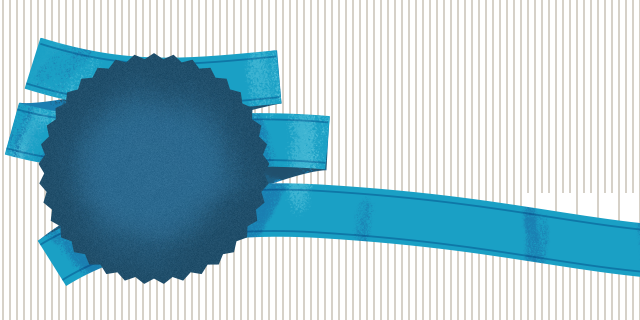 Hosted by the kaleidoscopic love child of burlesque and drag, let Ruby Slippers [VIC] be your guide though a raucous evening of high class tease and low brow sleaze. 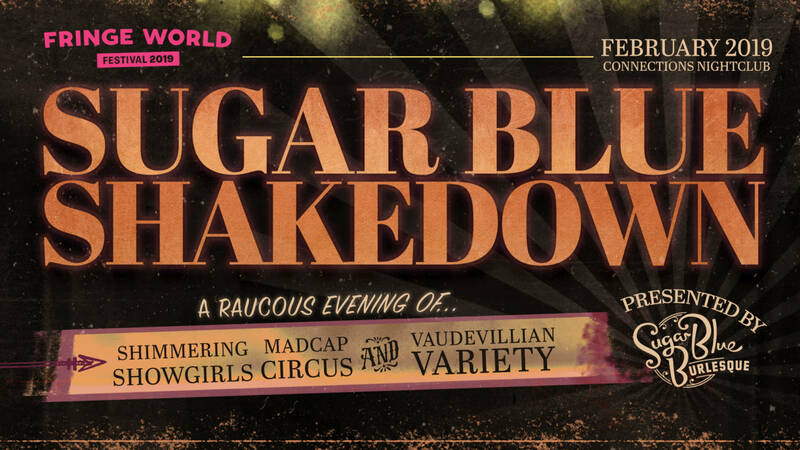 Expect stunning solo burlesque artistes, shimmering showgirls and madcap circus in this hour of Sugar Blue Shakedown power! 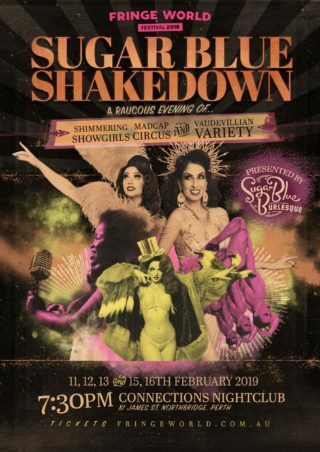 Sugar Blue Shakedown runs over 5 nights at Connections Nightclub in Northbridge.